BeckerTime is proud to offer this100% GENUINE ROLEX timepiece. 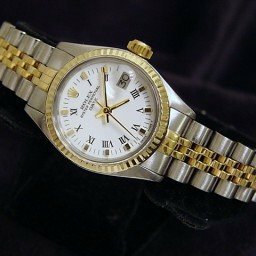 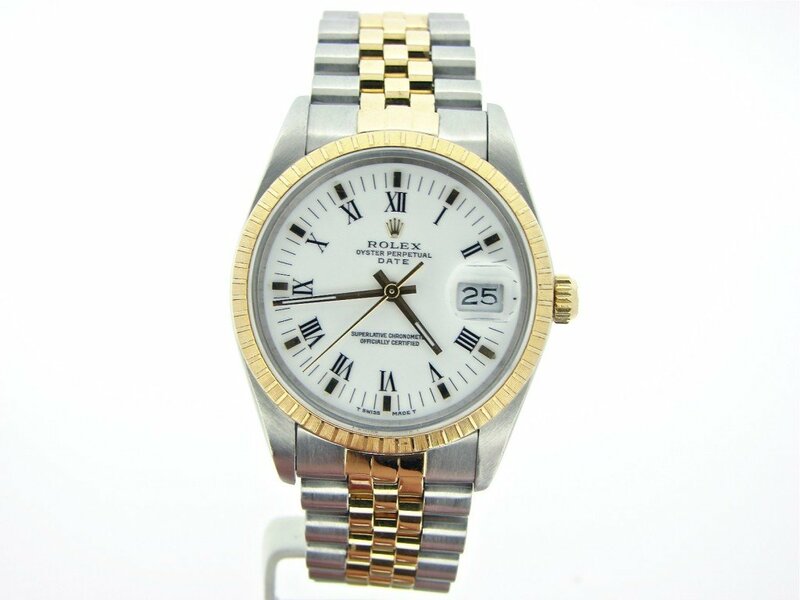 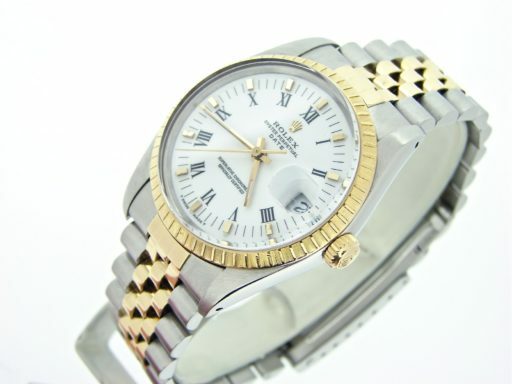 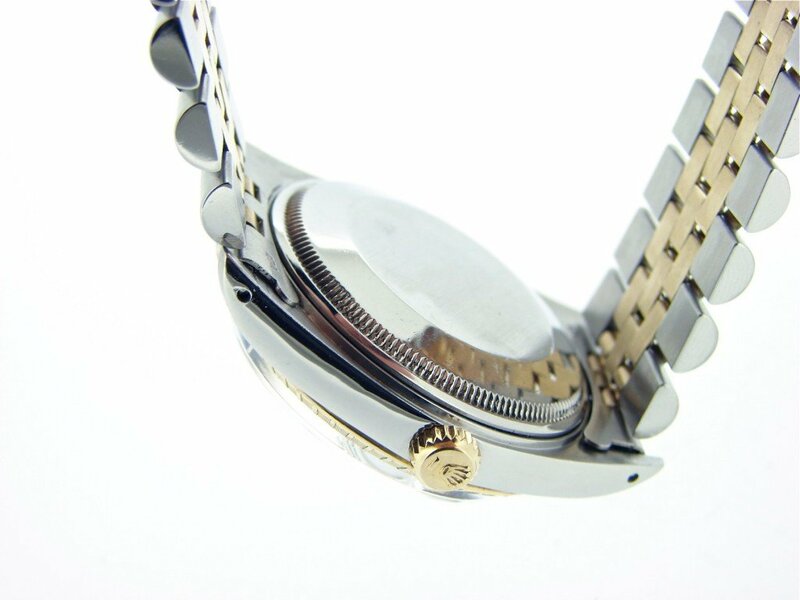 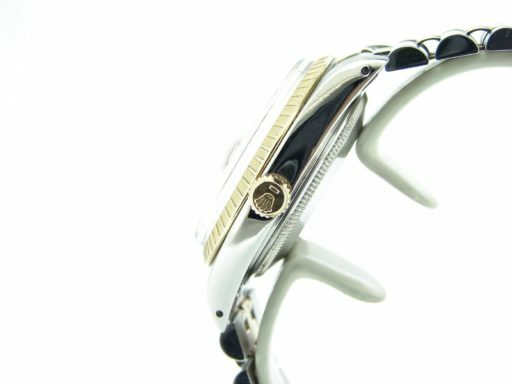 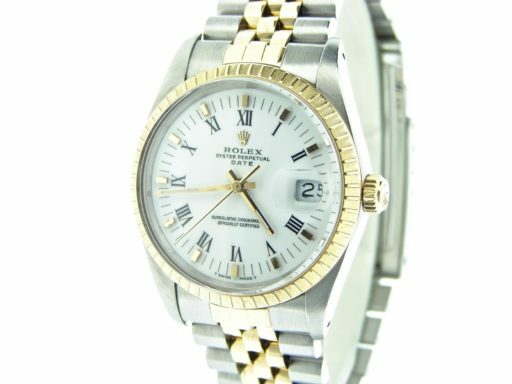 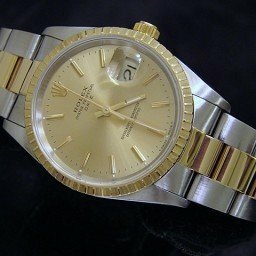 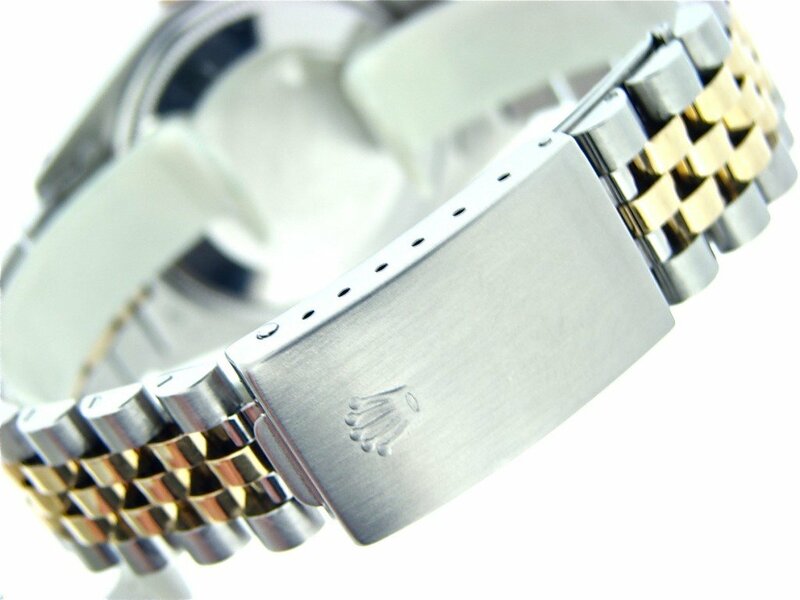 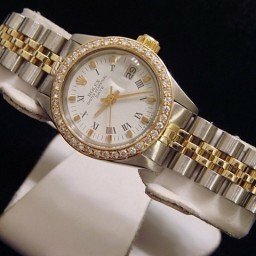 It is a Mens Rolex 2tone 18k Yellow Gold/Stainless Steel Date Watch w/White Roman Dial Ref# 15053 that has been fitted with a brand new custom aftermarket jubilee band. 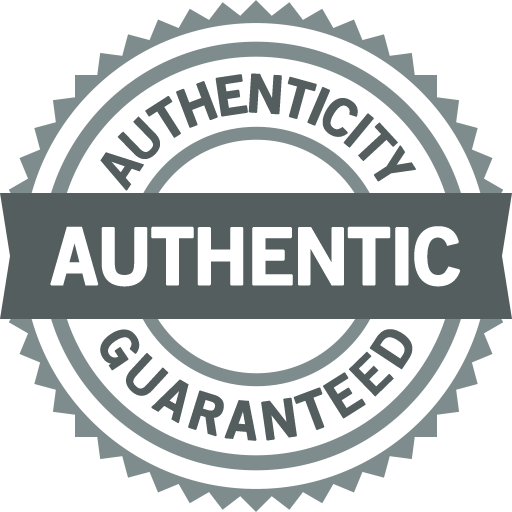 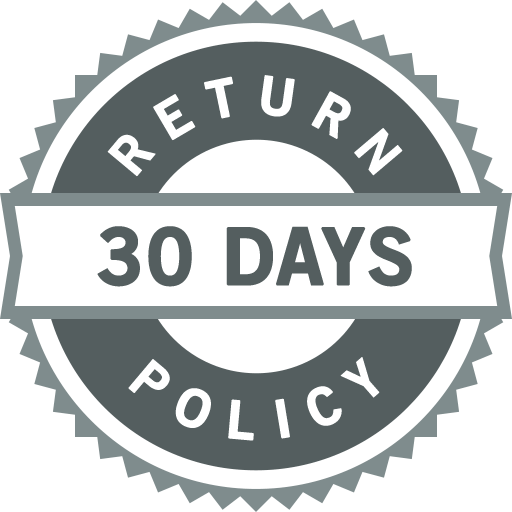 It is in SUPER EXCELLENT CONDITION and comes with the Beckertime 1 year Warranty and 100% Lifetime Trade-Up guarantee! 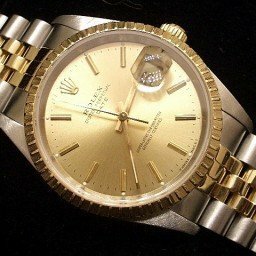 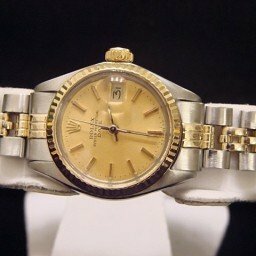 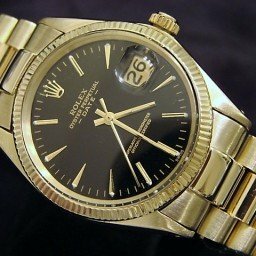 Don’t let this one get away…Buying a 100% genuine Rolex at this price doesn’t happen often…This type, if all factory, would sell brand new for $10,500 plus tax today. Dial Rolex white dial with black roman numerals and raised yellow gold markers is in pristine condition. 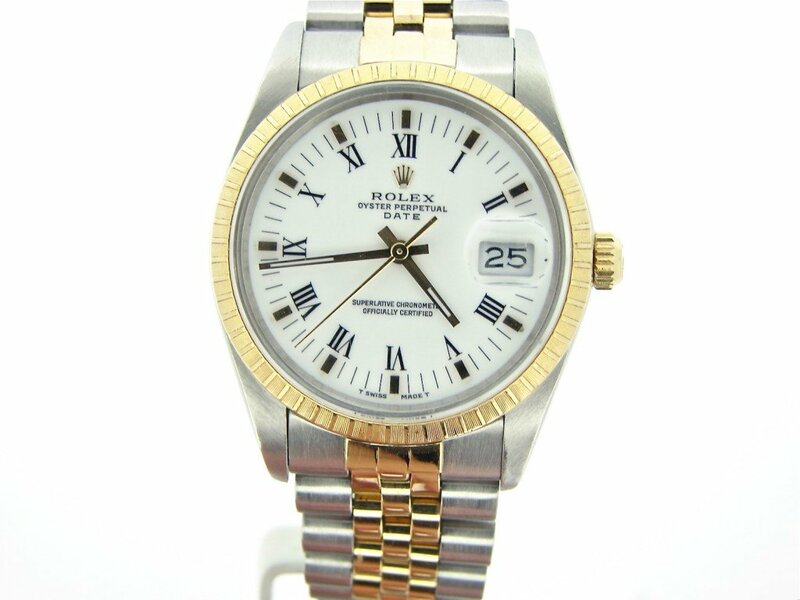 Band Rolex 18k yellow gold and stainless steel jubilee bracelet with Rolex-signed clasp is in excellent condition.